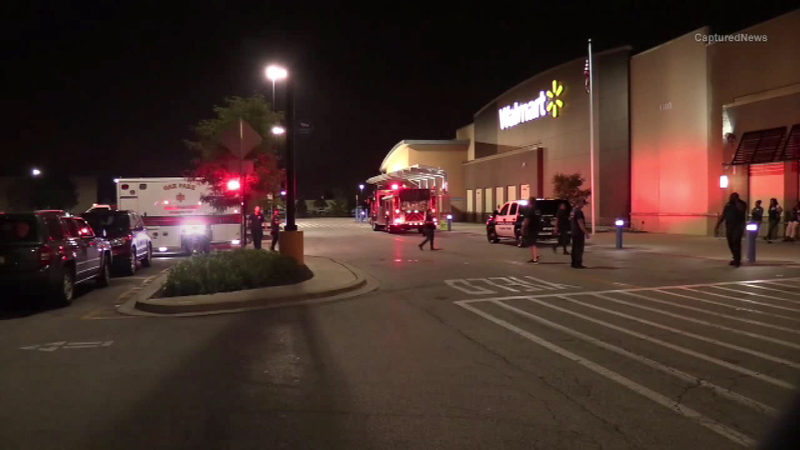 FOREST PARK, Ill. (WLS) -- Wal-Mart customers and workers in west suburban Forest Park were injured after someone attacked them with pepper spray in the store. A person reportedly had a container of the spray attached to a key ring. She set it down and said someone took the spray and started using it on people. The staff and customers were told to leave the building in the 1300-block of Des Plaines Avenue. "People were coughing, a few people got it pretty bad, an ambulance maybe took four or five employees and a few customers," said Wal-Mart employee Chryesse Johnson. "They evacuated the store and they have people in custody but they are not sure they're not sure they have to check the tapes and find out if they were them or not." Forest Park police have not released any information about anyone in custody.